The Rotary Club is an organization I have heard about since I was younger. In high school I heard about Rotary International because some of my friends and acquaintances traveled for a study abroad through this program. Although I had heard of Rotary, I didn’t know much about the local clubs. 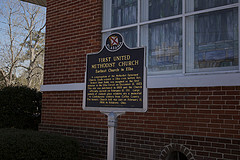 On a Tuesday afternoon, the Rotary Club of Elba meets in the back of the First Baptist Church. Not knowing what was considered the true “back” of the church, I wandered around to the side. I ran into an older man there, and we spent a good ten minutes looking for the right entrance. Finally, I caught a glimpse of the correct door of the church and entered just in time for the meeting. I was greeted by a few members and the aromas of delicious food. I think the cook may produce some of the best southern delicacies around. Other members of Rotary Club started to trickle in as I sat and ate with two unfamiliar folks. Then I saw those I recognized: Mrs. Laurie Chapman and Mr. Kenneth Calhoun. The tables divided the group into two, but Chapman had enough cheerfulness to fill the entire room. Our visiting Living Democracy journalist, Nathan, happened to stop by for the day too and experienced Rotary Club along with me. We sat there chatting until I finally asked, “What exactly is Rotary Club?” I had never known up until this day. Everyone glanced at each other and then they began to explain that Rotary was a club dedicated to helping the community. Membership used to be limited to two people of a certain profession in the club, but now most of it consists of business owners. I explained that the most I knew about the organization was the International exchange program and they said that was part of their mission but not the main reason the club found in communities across the country exists. Local service is a priority. They said that the last thing they did for this community was pack emergency event bags for the Elba City Schools. Finally, at 12:30 p.m., it was time to start the meeting. We said the pledge of allegiance, did some formal introductory practices, and then I got to start the Rotary pledge. I fumbled the introduction because I had no idea what I was doing, but the other members helped me out. Chapman introduced me to the group and spoke a little bit about my projects, and then I spoke. I had no Internet, so I was without any visuals for my presentation. 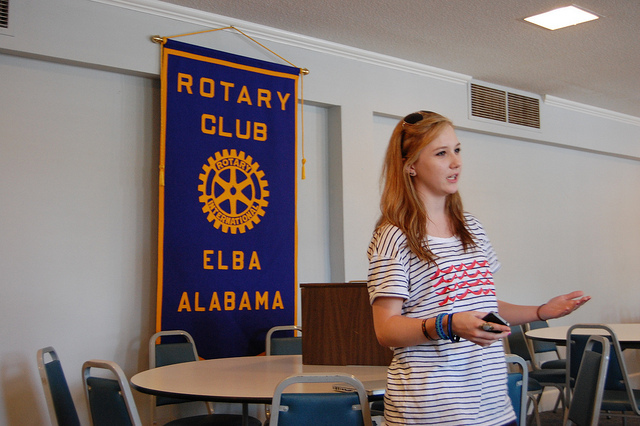 I spoke about what Living Democracy was, what the goals were, and some of the projects my fellow classmates were doing in other Alabama communities. Even though I felt like I was rambling on for a long time, I got a lot of great feedback. It was nice to have people tell me that they support what I’m was doing and know that any help I can bring to the community is appreciated. I met a lot of new people at Rotary, and I think that speaking to a club, any civic club, helps to open a lot of doors to partnerships and relationships with people. By speaking I felt like I gained different kinds of support in Elba that were not as apparent as before. 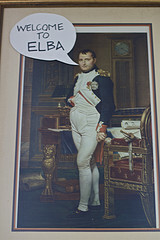 Informing others also helped me make sure that some important people had a good understanding of why I was in Elba. Some might have assumed, “She’s here to save our town”, but I got to explain that Elba did not need saving, and they would do just fine without me. But every town has something or a few things they want to work on. I’m here to help and give ideas as an outsider. 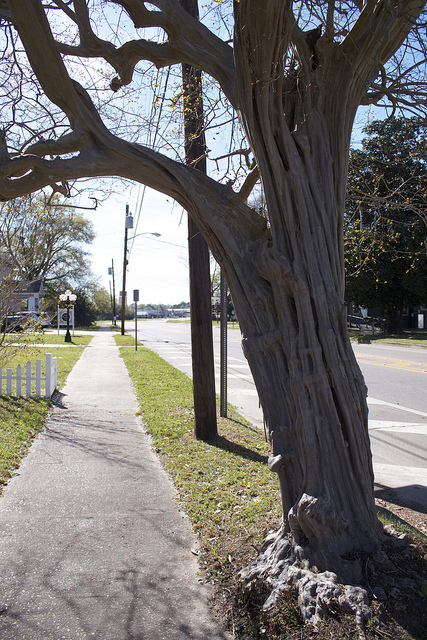 I can help make those ideas happen, but it is dependent on if the town wants them to happen. If the town doesn’t want it, I won’t push forward with it. 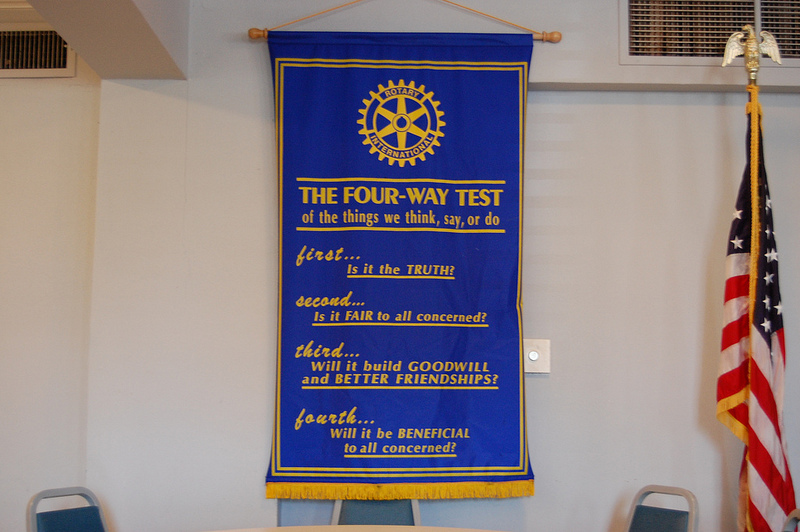 Being able to say these things publicly helped me feel more understood, and I think Rotary Club was a great place to start because of what they stand for. If one really thinks about it, Rotary Club and Living Democracy don’t seem so different after all. My freshman year at Auburn University was the first time I had encountered the term “wicked problem.” A wicked problem is a type of problem that has little or no solution. When one is faced with a wicked problem that can be solved, the steps needed to solve it are often strenuous and time consuming. In order to solve a wicked problem, one might have to commit their whole life to finding solutions for it, if at all possible. The biggest “wicked” problem I tend to see in Elba is the fear of moving forward in new directions. The town has a long history of dealing with floods that come when the Pea River overruns its banks. The most devastating flood hit in March 1990, putting the whole community under water for four days. Before this residents tell me Elba was a happy, successful little town. They had large industries such as Dorsey’s Trailers, tractor companies, and more inhabiting the town. Elba had few dilapidated areas. The town had been able to bounce back from earlier floods, but the 1990s brought two major floods that seemed to swamp a lot of hopes as well as many structures and possessions. When I was talking to a resident, they described to me how Elba was so sad for years after that. It took a lot to come back from the devastation. Only now in the past two years has the town started to perk up. When the town started to rebuild, they had lost a lot. Big industries moved out of the area, taking jobs and residents with them. Some people ended up moving out for fear of another disastrous flood. While researching Elba, I found reports that some citizens were concerned about the increase in public housing that came in as the town tried to recover. To me, I don’t see this as the main problem; the problem is opposition to change. There are those who want Elba to go back to how it was before the floods, but it can’t because the industry that made it the successful town it was moved out. I believe Elba can return to the same happy town, but it will have to go about it in a different way. Everyone knows that it is hard to come back from tragedy, but the fear has to be put behind because those problems are in the past. The fear has put blinders on some citizens, causing them to only look back and wish for things to be as they were. When the fear is coped with and the blinders lifted, a new positive direction can be seen. I feel that some citizens wear these blinders still, and it makes it hard to see a positive future. But, as an outsider, I see a lot of potential and positive activity in Elba. The fact of the matter is that a town can’t survive without its citizens supporting it. One day a woman told me that she would never go toward the dam and was very hesitant about going near the Pea River. Even after all these years. The river is beautiful and a great asset that could be utilized by the people who live in Elba, instead of being feared. Some are doing that, but others prefer to keep a distance from new development. It’s hard to accept that they may never grow to love the river due to the past flooding, but maybe it will be accepted in time. I hope the new generations of children, grandchildren, and great-grandchildren who were scarcely or never affected by the flood will embrace the river as an asset and not a hazard. This may not be enough to help those affected by tragedy, but perhaps, with time, the scars will fade and they will warm up to the possibilities the river offers. Great changes are happening in Elba with the creation of this summer’s Pea River Day. Also new wall murals that incorporate the river into them as a symbol of prosperity and not tragedy are planned. Restoration 154, an effort headed by Philip B. 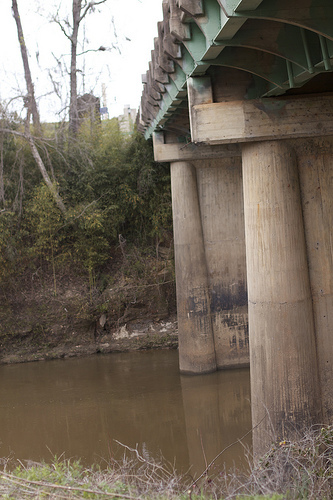 Box and Justin Maddox, is focused on developing projects connected to the river. 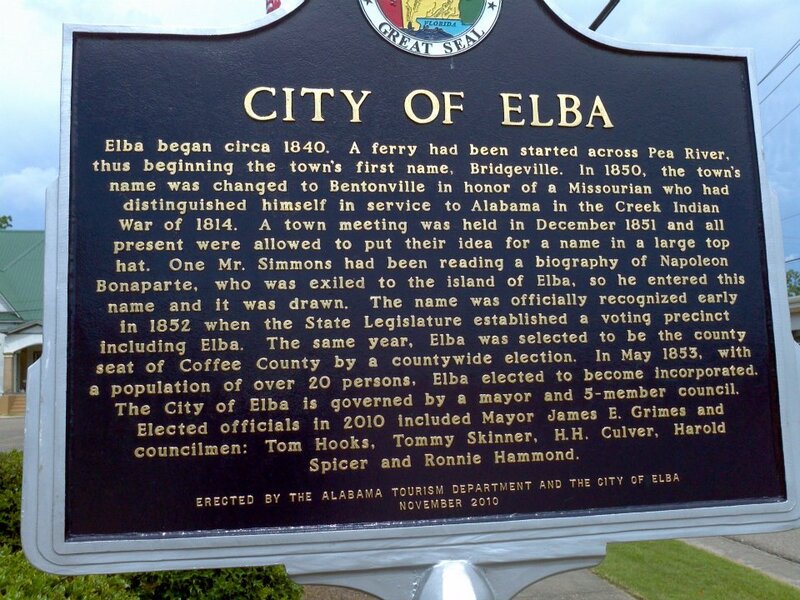 Some citizens who have seen Elba change over the years for better and worse may be hesitant about the changes, but I believe they will see Elba transform back into a better town over time and warm up to the “new” Elba. One day those passing through for vacation will see a lively river town and decide they might just like riverfront living more than the beach. I do believe Elba must embrace its past tragedies and work through it to transform it into something better than fear in order to prevent the past problem of floods from becoming a never-ending wicked problem. People gather in a variety of settings. Each setting gives off its own feeling: official, casual, familial, creative…the list can go on and on. 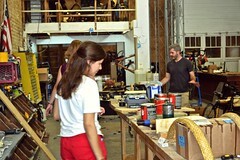 A third space is a place where people can casually gather and interact with each other. It’s more public than a home, but it is not a structured gathering like a board meeting. 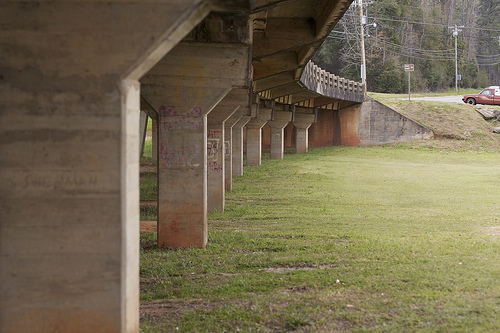 Before this weekend, I did not realize that one of Elba’s biggest assets was also one of its biggest civic spaces as well. I would define the Pea River as a third space. A third space has been defined as an area where people casually meet and interact to share ideas, hobbies, and time together. The Pea River is 154 miles of beautiful third space. As I waited for my kayak from Pea River Outdoors to be delivered down at the boating dock for me, I interacted with many folks. We had conversations about what I was doing on the river, their boats, and just small talk about random subjects in general. Everyone from couples to grandfathers and grandsons were coming down to relax on the river and spend time with each other. When I wasn’t talking, I watched old friends reunite and strangers form bonds through casual conversation about their boats. Even a boat ramp on the Pea River was a simple third place abundant with community interaction. My kayak arrived, and I hopped in the water with my boyfriend to paddle down the river. We admired the natural beauty of the river and the trees, taking in a great summer day. Soon, we started to pass groups of kayakers, all chatting and laughing. They said hi and asked how our day was going as they floated by. Music started to drift from a waterproof radio, and it suddenly hit me as to how important outdoor spaces are. I believe often we think of community spaces as man-made parks or places where we dine, but we often do not view the naturally occurring places as important civic spaces in communities. Laughing and talking continued between my boyfriend and I until we came across some kayakers and a few kids canoeing. Not one but two sets of people asked where the dock was and how far away it was. Finally, we started our way back towards the boating dock and arrived to find two older gentlemen fishing on the shore. As we watched a pontoon boat unload about 10 people we decided to paddle around and wait for it to be towed out of the water. Once it was done, we immediately began to race towards the boat dock. The two men fishing asked us how we were and how our kayaking trip was. The conversation continued on as we asked them how their fishing was going. They had just started but said they were hoping to get a good catch that day. The Pea River is a special place that winds through Elba and binds it. I have met many people who love to kayak, canoe, and go boating on the river regularly. If you drive by the main dock as you go over the bridge you will see at least one truck there at all times with their boat trailer. The Pea River is the home of many community events. The Chamber of Commerce is hosting a Pea River Day with a large pontoon boat tour, a color run, and fun activities in the park right on the river June 8. When I spent the day with Restoration 154’s Philip B. Box and Justin Maddox, they explained that Restoration 154 was for 154 projects and because there are 154 miles in the river where several of their projects are centered. They own Pea River Outdoors, which rents canoes and kayaks. Restoration 154 recently hosted a clean up day for the river, and they are planning to put up mile markers for the river enthusiasts as well. A business in Elba, My Happy Place, is also planning to soon feature a mural that will be highlighted by an abstract river, paying tribute to one of the community’s best assets. When you talk to citizens, they all seem to love the Pea River. They take so much pride in it, and you really learn how important it is to the community. So, if one day you find yourself in Elba, Alabama, I highly recommend that you rent a canoe or kayak and take a little trip down the river. Natural and beautiful, this third space will not fail to make you awe-struck, and if you like to chat or fish, you may make a few friends as well. Church is a place where people gather and bond. Elba is predominately a Christian community with more churches in its small community than people can count on two hands. My first Sunday was a delightful experience when I attended my first Elba church service at Covenant Community Church. This was no ordinary service because of the fact that it was Mother’s Day. I invited my mom out to celebrate the day with us and we arrived at the home of the Cowen family for the special service. Fold out chairs were set up in the front near the driveway on the grass. 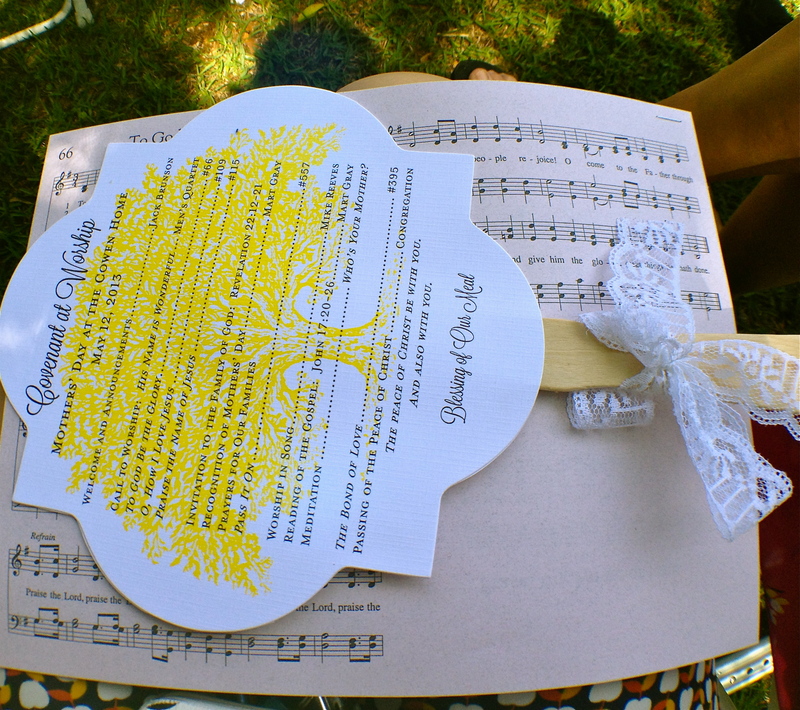 We were handed decorative paper fans with wooden handles and a ribbon on them. One side of the fan had the service printed on it, and on the other a hymn that is sung during a service. The forecast had predicted rain, but the sky was bright and the weather warm. All around the Cowen’s home had plants of various colors and blooms. A bird nest made to look like a stoplight hung from a pole off to the left. Immediately, the home struck guests with a sense of charm and enchantment, making a beautiful setting for church services. Mart Gray, the pastor, greeted everyone, and Jack Brunson cracked jokes, one of his best-known traits to the congregation. A group of six men stood at the front and sang, while the pastor’s son, John Gray, played guitar for them. It’s not often I hear a men’s choir sing so it was really a new experience to me as we sang through the old hymns and the crowd began to harmonize on the ideal early summer morning. We all sat down and began to recognize the mothers and those who were visiting from out of town. I was also recognized as the Auburn student who will be living and learning in Elba this summer. We learned the sayings and traditions of the church with the help of Mary Gray and then the congregation was dismissed to chat until lunchtime. 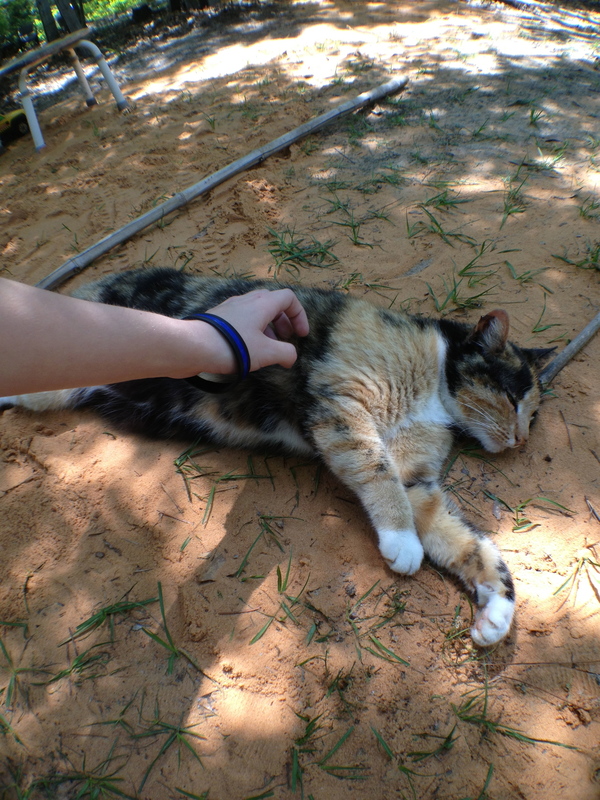 We strolled around in the gardens, petted the old calico cat, and talked to the members of Covenant Community church. Everyone was friendly and eager to know what I was doing. They told me they were happy to have me there, and I was and still am delighted to be here. The Cowen’s B-M-W (BBQ Made Wonderful) was served, and everyone lined up to eat at a rapid pace. We passed through the line and found a seat at one of the long tables in the opened garage. 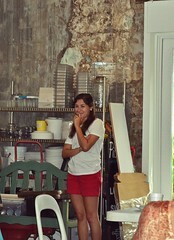 Not long after, Jack Brunson appeared and sat next to us. His round, plastic-rimmed spectacles and pleasant demeanor made him easy to talk to as he chatted up a storm with my family and I. As we talked over lunch, Pastor Gray happened to find us and sat down. Inevitably, the jokes began to fly and the perfect description of Covenant was formed. Mart looked at me and said, “Some people think we say, ‘Welcome to Covenant Community Church, we’ve got character’, but really what we’re saying is ‘we’ve got characterS,” giving everyone at the table a good chuckle. I am happy to say that this Sunday I returned to another service at Covenant Community Church to be greeted by all the folks there and embraced by their part of the community. As I get older, I realize more and more that church is a vital part to community building. 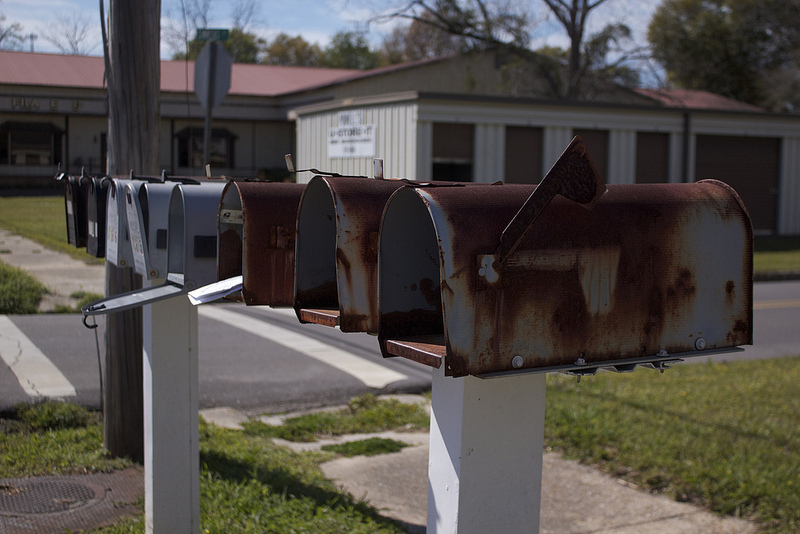 It’s easier to see in smaller towns, but a church forms a certain bond between people. It creates opportunities for casual conversation. Every Sunday is a family reunion full of merriment and invitation to be closer to every individual you interact with in that community. They recognize you, they say hi on the street, and even in a short time the people I have met through the church have been people who have become my host family while I am here in Elba. They have become my partners in projects. They have even become my friends and a large support group for me. I think churches often get associated with being cut off from the community, like a fancy country club. Covenant even touched upon the subject of how difficult it can be to get into churches, but down here in Elba for Covenant Community Church that could not be farther from the truth. Everyone here embraces you and looks out for you. I see this sort of interaction all throughout Elba, not just in the church. Some groups are fellow churchgoers, but a lot of them are not. That certain feeling of family one can feel in a church is all throughout the community. As I dig deeper and deeper in the community of Elba I am learning they not only have characters but a lot of great character as a whole town. 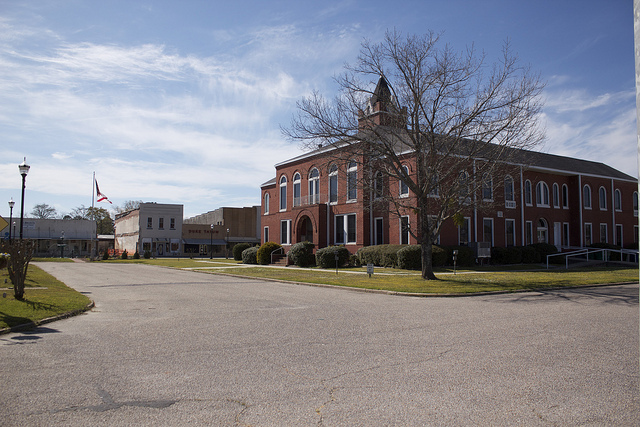 On the town square, cars cross and cruise around the block of Elba, Alabama. The center holds the courthouse, giant and imperial, keeping watch over its surrounding storefronts. The stores stare ahead solemnly, all facing the courthouse, as if waiting for orders. One storefront has a fading, glass imprint of the famous Nintendo character, Mario. Another building is barely even a building, void of most of its back wall and the entire roof. The old theater still boasts famous movie posters, and awaits the day it has its makeover finished by Restoration 154. Building 348, the Marty Marler Attorney at Law building, flaunts its red and white exterior on the corner of Court and Simmons Street. The Elba Public library stares at the blank brick wall of a side of Recollections Antiques & Uniques. Edna and Gloria’s Beauty and Barber Shop keeps the town lively, gabbing away with Just Folk Coffeehouse. My Happy Place just arrived, the baby of the town, overflowing with creative abundance and youthful anticipation on who might move in next. One might say that if buildings had eyes and could see, they would have a lot of stories to tell. They would be wise and old, recounting endless tales of their lengthy history. I would venture to say that the eyes of Elba’s buildings are young and looking forward to the future. Elba’s buildings officially got their start 1852, when the town was named the seat of Coffee County and moved back from the river a bit. Although the town and their buildings are young, they could retell countless tales of youth going to the theater. They could mourn as they recalled the three floods that wiped out their neighbors, and they could rejoice in movie nights and celebrations on the square. 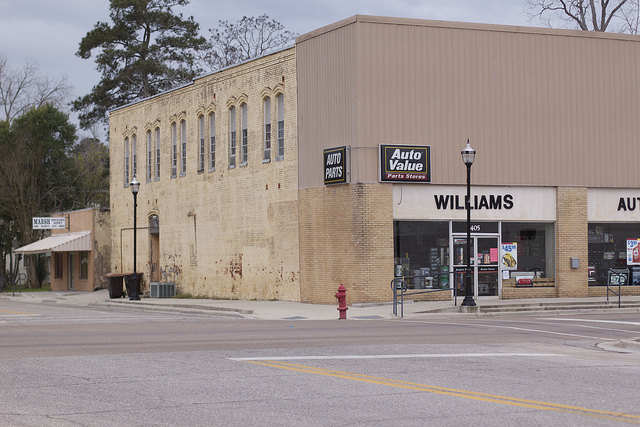 The history of Elba is in every brick, every faded storefront, every restored theater, and in every citizen who aspires to help the town thrive. History is not something that has passed and is done. It is something still happening, an existing memory to still be built upon.